Based on the Radio 4 series, Rudy's Rare Records takes us behind the doors of a failing record shop and the lives it touches. Rudy (Larrington Walker) has owned his record store in Handsworth, Birmingham, for decades, after he moved to the UK from Jamaica. While the world has moved on, his store has not and its dust-laden shelves are stacked full of records that nobody now wants to buy. Heavily in debt, he is being hounded by developers who offer him a way out by buying up the shop. But Rudy doesn't want that solution – he wants to keep the shop open so comes up with a desperate plan. But the show is about much more than the survival of an institution – it also looks at the survival of a family. 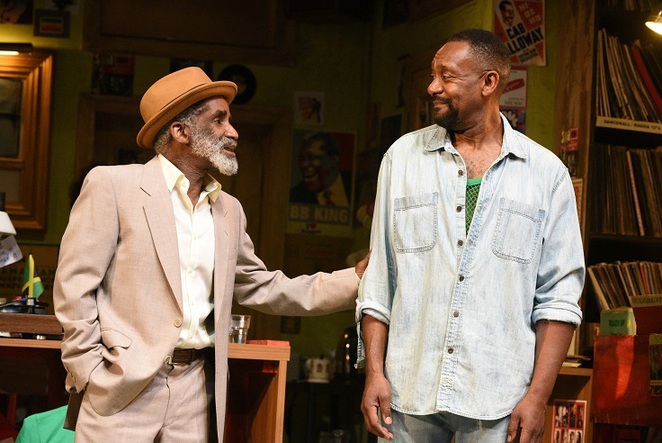 Rudy's son Adam (Lenny Henry) has returned from his acting career in London to look after – and clash with – his ailing father. But then Adam has his own inter-generational crisis when his son Richie (Joivan Wade) turns up and, initially, refuses to say why. 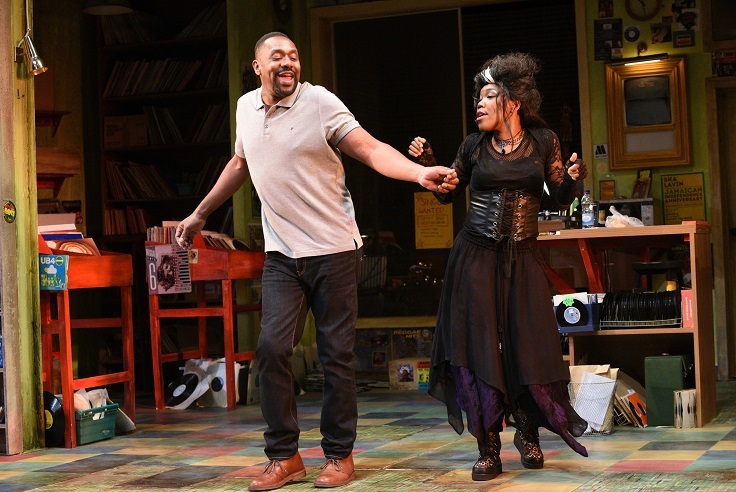 Throw into the mix Rudy's long-term friend and neighbour Clifton (Jeffery Kissoon) and Rudy's love interest Doreen (Lorna Gayle) plus goth shop assistant Tasha (Natasha Godfrey) and you have a true mixed bag of characters. And it is this mismatch between the people, as well as some very sharp and current comedy, which keeps this show moving. The lines keep coming and at times it appears that even the cast can't help but laugh at the humour. It's witty and dry with some close-to-the-bone comments about immigration, racism and class. Presented by Birmingham Repertory Theatre and Hackney Empire, Rudy's Rare Records brings together a creative team including Danny Robins as both writer and co-creator, Lenny Henry as dramaturg and co-creator and Paulette Randall as director. But the real star of the show is Larrington Walker as the irascible Rudy. He's selfish, grumpy, rude and dishonest – but he's also just a loveable rogue. Whether he's drinking firewater with his old buddy, charming Doreen or simply annoying his son, he is irresistible. Lorna Gayle's Doreen is a sassy no-nonsense woman who just wants to be loved while Joivan Wade plays the confused teen to the tee. Jeffery Kissoon's Clifton is a perfect foil to Rudy as they swap insults in the way that only old friends can. And Natasha Godfrey's Tasha is trying to do the right thing and be kind – not always easy with her fellow characters. Libby Watson's design is hugely creative, pulling us into that old record store but keeping a few surprises up its sleeve. Let's be honest and say that the show does tip over into schmaltz and is over long, particularly in the second act which becomes a show within a show, but it is nevertheless a real feel-good play. With live music and a bit of audience participation in the songs plus lots of positive messages about the importance of friends, family and love it does create a little warm glow as the evenings begin to chill. Rudy's Rare Records is staged at Birmingham Rep until September 20 and Hackney Empire between September 24 and October 5.